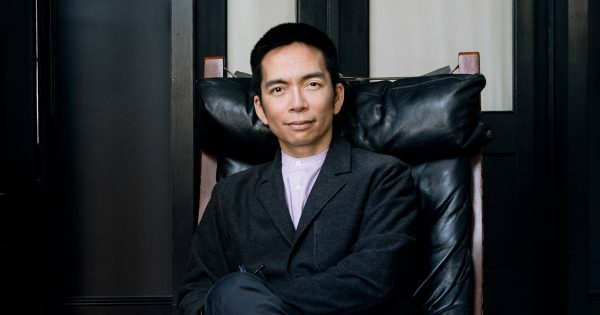 The design director of new publication The Outline shares his opinion on how to design online media in the Snapchat era. Stephane Elbaz is a French typeface designer and an art director working in the United States. 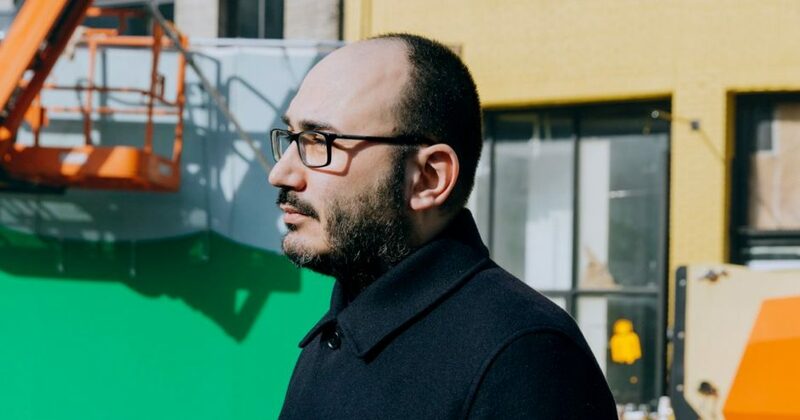 Currently he is the design director at The Outline, an American publication launched in late 2016 with a goal to change the face of online media. While working for the Code and Theory agency, he was engaged in the redesign of The LA Times and worked on projects for the various magazines, including GQ, Vanity Fair and Art in America. 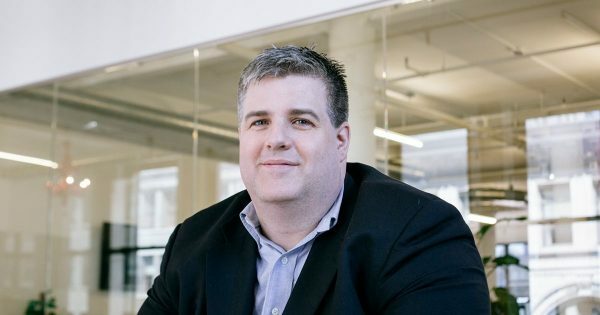 Apart from that, Elbaz was the product director at First Look Media, a publishing house founded by Glenn Greenwald and sponsored by Pierre Omidyar. 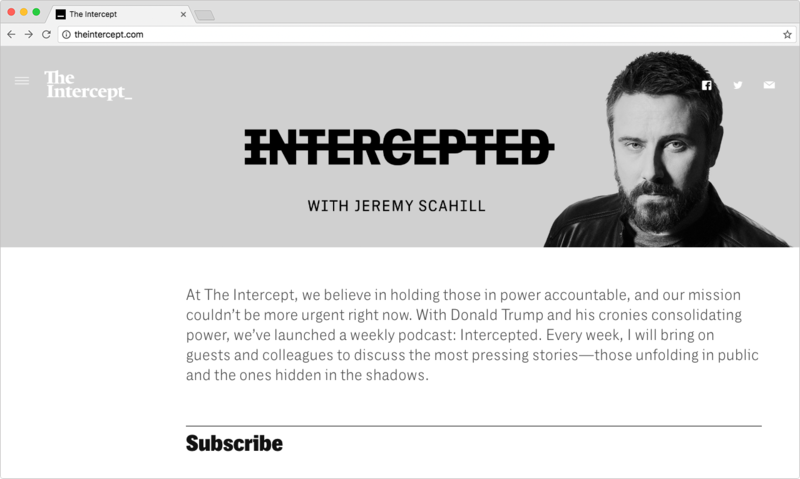 In 2015, Elbaz was in charge of redesigning The Intercept, developing the corporate identity, logo and typeface for Greenwald’s online publication. We asked the art director about the importance of typography, Snapchat and the future of web design. — You studied typography, but now you work as an art director. How did your education influence your attitude towards graphic design? I studied typography in Paris and, for me, typography has always been the most important element of graphic design because it conveys information. When I started my career as a graphic designer, I continued working with typography, and I still combine these two skills even though web design is my main job for now. It seems to me that, today, typography is even more important than before. When I worked at the Code and Theory agency, the first mobile devices—like iPads—were just coming out. At that point, I realized that iPad apps built by publications only have room for branding and text; each media is distinguished only by colors and fonts, so the value of good typography rises. When I left the agency and started working for The Intercept, I had the opportunity to do everything myself: branding, typography, products for readers and newsroom. I saw how these three elements work together, and realized it’s what I wanted to be doing. But I believe if you want to become a good graphic designer, you must understand typography. — What did you do before Code and Theory? And how did working for an agency differ from your previous projects? I was the art director of YSL web campaigns in France previously, and I think the main change when I joined Code and Theory was that I had access to large publications and I began to specialize in collaborating with huge publishing platforms. For example, one of my first tasks was a project for Vogue.com. It was more work than I was used to and I was working on a publisher’s CMS for the first time. — What are the main lessons you learned from your agency time? The main thing I learned were related to process and scale. When I first started, I understood how the process worked in small design studios, but at Code and Theory I learned to work in a more competitive market; Agencies are much more prepared for tough rivalry. I also learned a lot about how to organize things for managing larger projects. — What are the main principles of Code and Theory? The first thing you need to know about the studio: It was not founded by business experts, but by creative people, specifically Dan Gardner and Brandon Ralph. Because of that I think the process was well built for creative things to actually get done. All the team members know that if you are trying to make something brilliant, there has to be space for creativity. But, at the same time, you have to be organized and optimize all the stages of the work in order to achieve something. So, we had time for inspiration, but once we found an idea, we had to get together and make it happen. This was the biggest thing that allowed an agency such as Code and Theory to succeed. — Please, tell us about your work on The LA Times’ redesign. It was a big project with a pretty strict deadline—I think we only had six months to complete it, which is quite short for such a major overhaul. The previous site was ancient, from the late 1990s. We wanted to bring something new, not only into design, but also into the paper’s positioning to prepare it for the future. I think we succeeded, even at this level. For example, we made “sharelines,” several tweetable quotes throughout an article for readers to share. This also required coming up with a separate editorial task for this particular design element. So, we came up with not just a new tool, but also a new process for creating articles: people think differently about writing an article in the system that we built. I did not create a typeface for The LA Times. We gave recommendations on how to best use fonts, and David Berlow of Font Bureau improved the newspaper typeface, making it better for the web. — Your project was nominated for the Webby Awards in the Best UX category. Tell us how you make a media website more user-friendly? 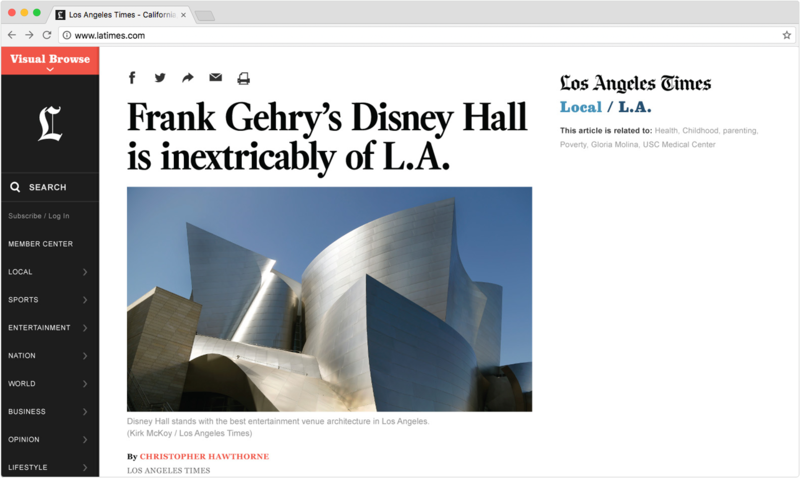 Before the redesign, The LA Times‘ website was very static; regardless of the type of content, the layout was the same. We tried to understand how to make each element move differently. We wanted to split the page into modules and create a flexible layout. For example, we designed the site so it was easier for the reader to move from one section to another and to find additional information. This is not a strategy aimed at deceiving the reader; it is done to help him. This is built into the interface of the site, so the content and product are inseparable. — What is the difference between working at The Intercept and working at Code and Theory? In this case, I worked on the client side rather than at an agency, and was able to achieve a lot of interesting goals in terms of product design because of it. My team was smaller, but I had more opportunities and more control over what was going on. 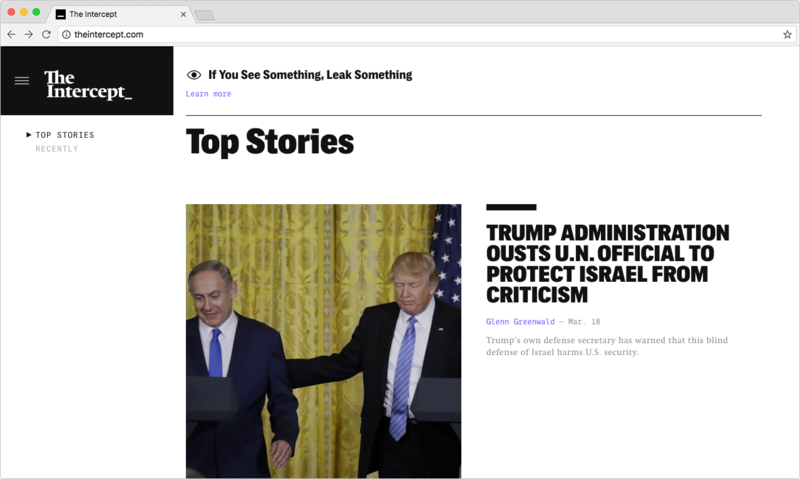 The Intercept only releases about five articles a day—whereas The LA Times publishes dozens—so we needed a completely different interface. Often, content is packaged in various ways to create some variety and attract more readers by helping them process information. This strategy can be valuable to the end user, but there is always a risk that the designs will seem artificial and clumsy. 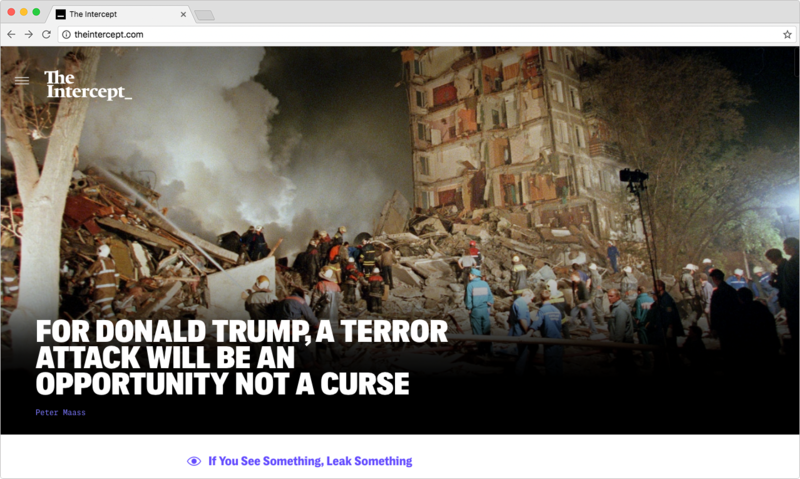 The Intercept decided not to have a wide variety of formats—there aren’t a lot of navigation elements or types of articles. Instead, the website publishes content that speaks for itself and organizes everything very modestly. There is no need to try and force diversity through the design; if we isolate something, it’s very purposeful. 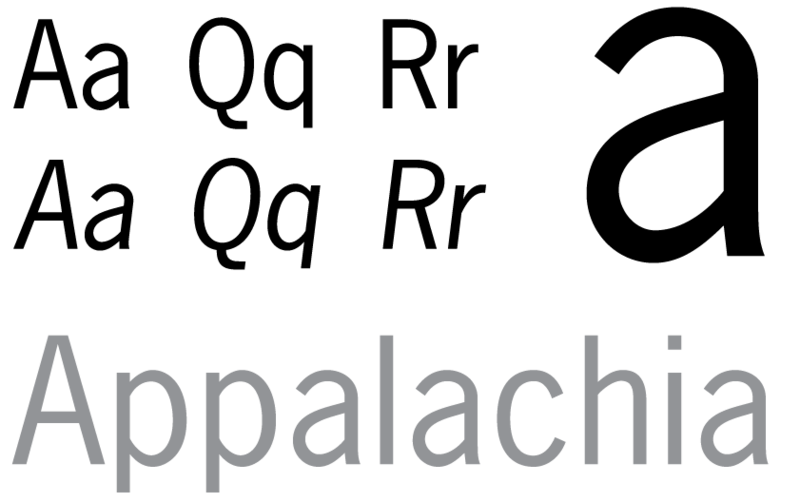 — Tell us about the font for The Intercept that you created. The typeface for The Intercept is an interpretation of the typeface called “News Gothic.” It was developed by Morris Fuller Benton in the early 20th century specifically for the US newspaper market. News Gothic looks very American and is closely connected with the local journalism tradition. This was an important aspect: The Intercept does not pretend to rethink journalism, but rather wants to revive what existed before, true investigative journalism. I tried to combine this historical aspect in the design with something more relevant, to make the font more suitable for the world of technology. — What do you do for The Outline? The first version of the website’s visual design was developed by the Code and Theory team, while I was working on the product and design of internal tools for the editorial staff. Now I’m trying to figure out what we want to do next, understanding what works and what does not work, fixing what does not work, and coming up with something new. After the launch, we received a lot of positive feedback, which I think is quite rare. We really want to come up with something for the future, and if we have to break everything that we built to make the site more relevant, we will do it. The Outline is a special publication. 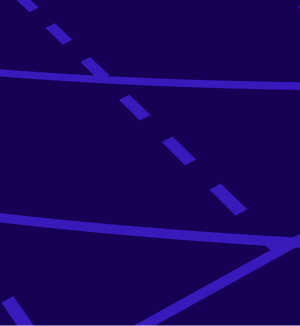 Founder Joshua Topolsky is immersed in the process, much more than many of his colleagues. He is constantly thinking about the design and has an opinion about everything. This is a challenge for me, but it makes the job interesting. I am also much more immersed in the daily life of the editorial staff here and understand content better than I did at the agency. I work closely with journalists and try to work quickly, because if you are not fast enough, you will not be able to run everything. It is necessary to decide what works and what doesn’t, and get rid of bad ideas. Many refer to their ideas as children, but you can not hold on to a project that doesn’t work just because it matters to you. — There’s are a lot of talk about how The Outline has a similar user experience to Snapchat. What do you think about the platforms that build tools for publishing content, like Facebook Instant Articles or Snapchat Stories? Can they replace traditional media? They are certainly trying to. These platforms want to get rid of the web browser, but I don’t think this will happen. When the iPad appeared, it demonstrated how the web design should be approached: all these applications were just looking for new ways to interact with the reader. We always work within this context, there is no other way. It is necessary to use what people have already gotten used to. Even though we use similar mechanics to Snapchat, our stories are very different from what you can see on social networks. In addition, these platforms mainly publish sponsorship content, whereas we are trying to return this power to publications and continue to improve journalism. — What new technologies and trends do you see? How can media prepare for the future? I think that a lot depends on the evolution of our technological infrastructures. The way we use phones depends on many factors: internet speeds, connection cost, etc. When these restrictions disappear, everything will develop more quickly, and we will consume more video or more saturated content. In the meantime, you just need to continue to experiment with the limitations we have today. — What would you recommend to people who are just starting to work in media design? What should be considered when creating branding for a new publication? Content is the most important, everything else is secondary. You need to try again and again to find the core of what you are working on. There is no one process that leads to an “excellent idea,” so leave room for inspiration. Do not pursue trends in design or new fancy tricks. 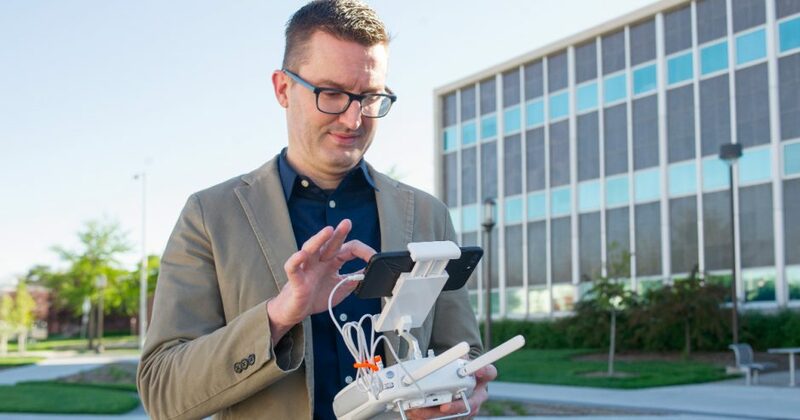 Digital does not change everything: try to look at your work from a bird’s eye view and see a longer perspective. When you build the future, the past is still the most valuable resource.